It is so fulfilling for me to see local businesses flourish-even more so when I get to work with them to provide great images to showcase their product and/or service. D’Amicos engaged my photographic services during the year to capture their three restaurants and some of the amazing food they create. A sample of photos can be seen in the scanned articles below. 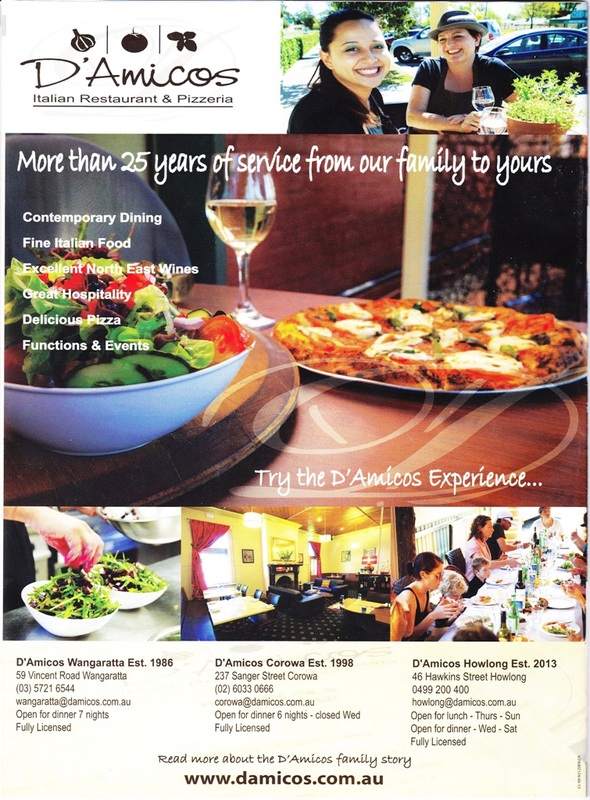 Thanks again to D’Amicos- especially Leesa who was an absolute pleasure to work with and thanks to North East Tourist News.